1. 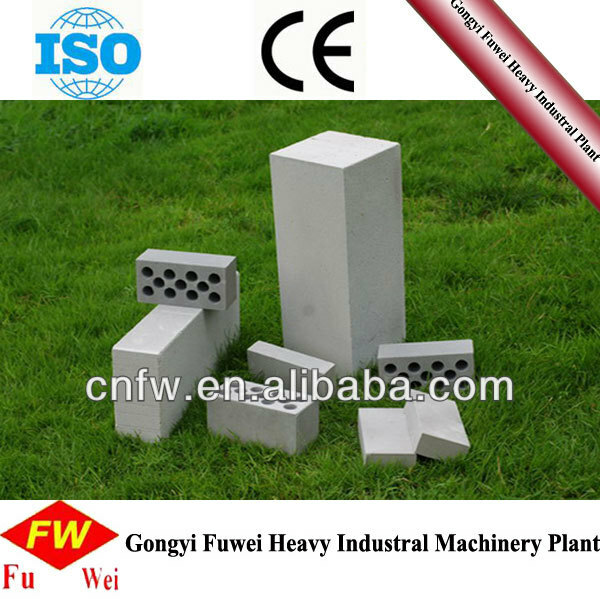 Storing and supplying of raw meterials of AAC blocks. 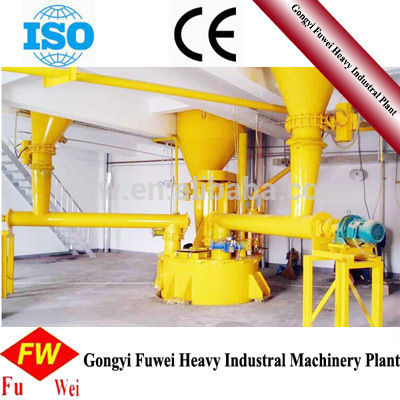 All raw meterials are carried into factory by trucks.Fly ash,sand or lime are gathere in specified raw materials field waiting for using.Sacks of cement and bulk cements stored in cement warehourse.Chemicals and aluminum powder are seperatedly keeped in chemical warehourse and aluminum warehourse.When used,these raw materials are carriedinto workshop respectively. Quick lime is sent by vibrating feeder and belt conveyor into jaw crushers to smash. Smashed lime is sent into lime silo by bucket elevator and then is transported into ball mills by screw conveyer. 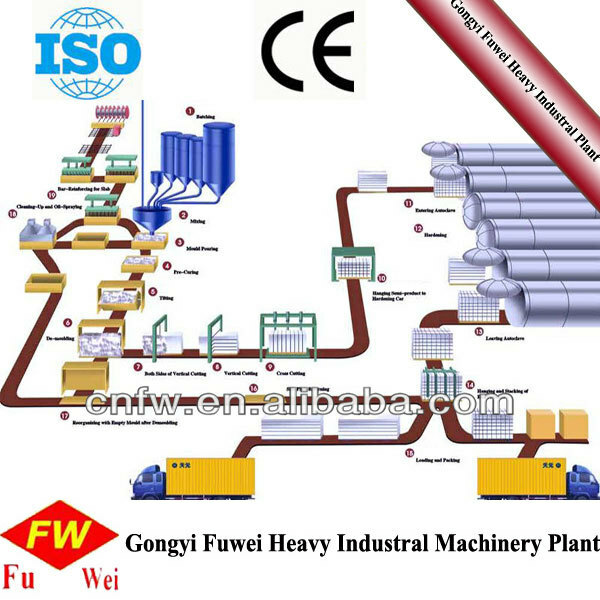 Fined materials are sent into proportion bin by screw conveyer and bucket elevator.Aluminium powder is lifted by a truss motor to second layer of batch planta and empty into mixer.Then quota water is poured to make aluminium powder into suspension. Fly ash (or sand or stone powder )and waste slurrry are measured in mesuring tank.After the measuring and mould in their place,slurry stirring begins.Slurry temperature should reach about 40°-This is technical requiremnents.If the actual temperture doesn’t arrive 40°,vapor is used in the measuring tank to raise temperature.Half or one minutes before casting,aluminium suspension is supposed to be added to the slurry. 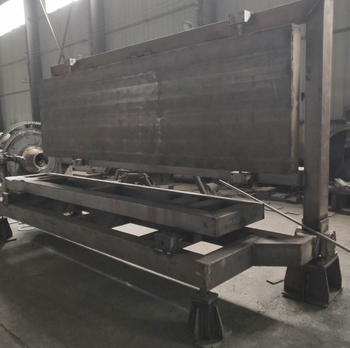 We are engaged in the scientific research , production and sales of energy saving light and heavy machinery and have more than 30years manufacturing experience and have CE certificate and ISO 9001:2008. 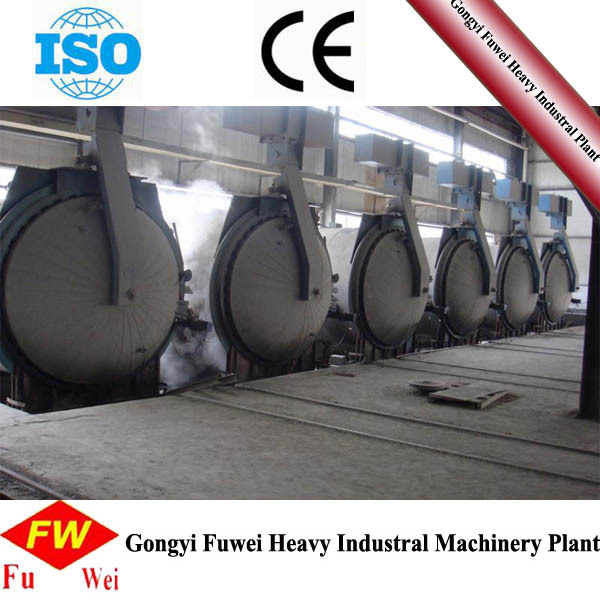 Our production lines :Autoclaved Aerated Concrete (AAC) production line, sand production line, cement production line, lime production line and mining production line. 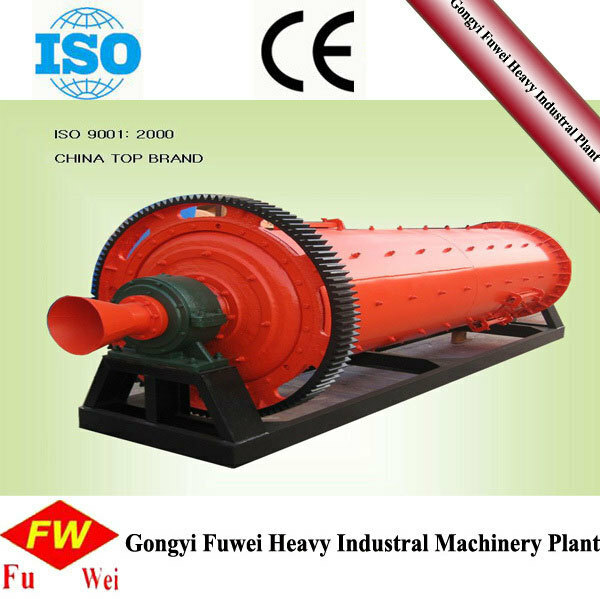 Our main products : Jaw Crusher, hammer crusher, ball mill, sand making machine, flotation machine, rod mill, wet pan mill, dryer ,rotary kiln, brick making machine, nail making machine,charcoal machine. We can provide you the site visit ,project design, technological process design free of charge before order and installation, commissioning and trainning after order. Pre-sale service: we provide patient explaination of our products and comprehensive advice about specific products choosing. On-sale service: we provide techinical assist about the installation of the products and we have professionals to your destinationt for trainning and commissioning.